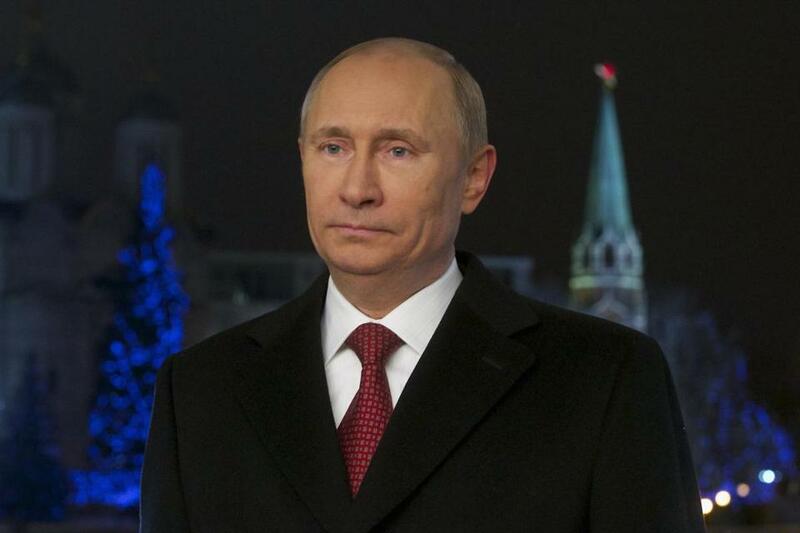 Russian President Vladimir Putin looked on during the recording of the traditional televised New Year&apos;s address to the nation in Moscow, December 27, 2012. MOSCOW — Russian President Vladimir Putin has ordered a major change in the rules for parliamentary elections, a move that could help solidify his power and influence toward the end of his current term and insulate him from dwindling public support for United Russia, the party that nominated him and currently holds a majority in Parliament. At Putin’s direction, half of the 450 seats in the State ­Duma, the lower house of Parliament, would be filled using a proportional system based on votes for parties, with each party then filling its allotted seats. The other half would be filled by direct election of individual candidates, creating a potential opening for independent campaigns. The new system, which the Central Election Commission is expected to unveil in coming weeks, replaces a system of strict party-list voting. It would be the second major change to the parliamentary voting process in less than a decade and essentially amounts to a return to a system that had been in place until 2003. The proposal also comes just a year after allegations of fraud in the parliamentary elections in December 2011 set off a wave of huge street protests in Moscow. But while the prospect of individual candidacies suggests a liberalizing of a political system often criticized as heavily tilted in favor of Putin and the governing authorities, history shows that they can actually have the opposite effect. This is because individuals endorsed by the majority party tend to have an advantage in name recognition and resources in local races, and because candidates who run as independents can often be enticed to join the majority party when the new Parliament is formed, using perks offered by the presidential administration. In neighboring Ukraine, the adoption of a mixed electoral system like the one proposed by Putin helped President Viktor Yanukovych’s Party of Regions win more seats in elections this fall, despite public opinion polls — and even election results — that showed support for the party had dropped . In 2007, under a system of proportional voting for party lists, the Party of Regions won 175 seats with 34.4 percent of the vote. In 2012, the Party of Regions won only 30 percent in proportional voting but now holds 209 seats thanks to victories in individual districts by its own nominees or by independents who joined the faction later. Under new laws that extended both the terms of Duma members and the president, Russia’s next parliamentary election is scheduled for December 2016 and would be followed by a presidential election in March 2018. Putin, in a speech to Parliament last month, described the proposed change as a continuation of liberalization efforts that began last year with an easing of restrictions on creating political parties. Critics of that process say it is now too easy to form a party, effectively splintering the opposition like a shattered pane of glass. But election specialists said there were reasons to be skeptical. Arkady Lubaryev, the director of a project on developing Russian election law for Golos, the country’s only independent election monitoring group, said the organization supported a mixed voting system but not the one proposed by Putin. Lubaryev said Golos was also concerned about the possibility that independent candidates would encounter obstacles to registering their candidacies.